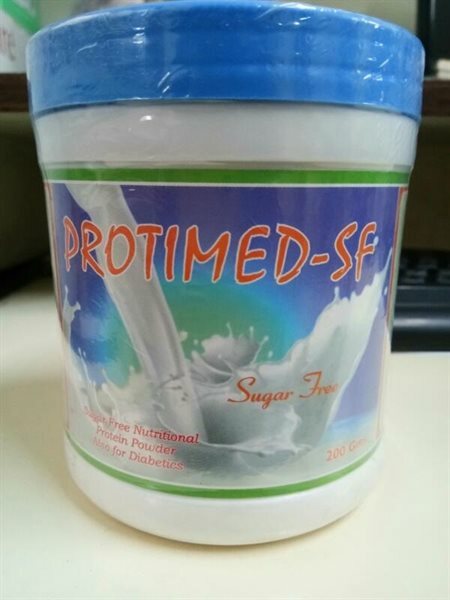 Soya Protein, Milk Solids, Maltodextrin, Minerals, Vitamins, Fiber & Aspartame. Take 2 spoons of Protimed-SF in a cup & add little milk, stir briskly to form smooth paste. Pour warm or cold milk to make a refreshing drink. Keep the bottle air tight. Away from moisture.